I have been adding a lot of visual puns to my Rear Window exhibit because Hitchcock put them in a lot of his movies. 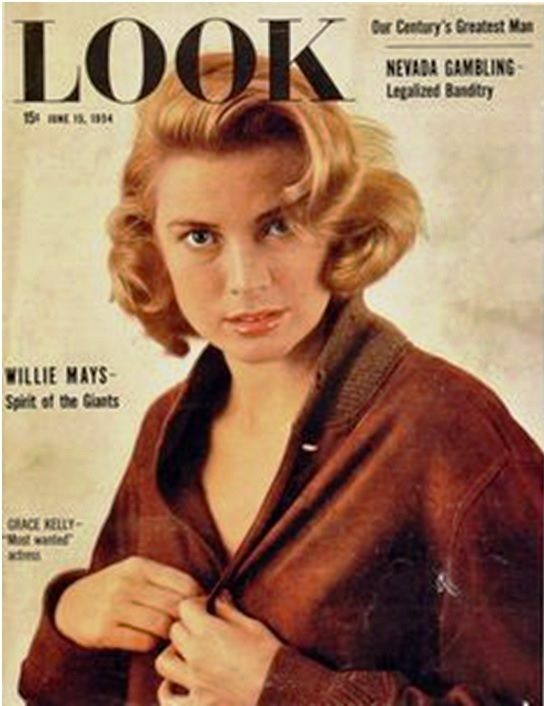 Today I found this cover of “LOOK” magazine featuring Grace Kelly (looking like a bad girl) which came out the year the film was released, 1954. Looking, of course, is the whole theme of the movie. I have printed it miniaturized from its 11″ by 14″ original size. It will be on or under the chair the Sculptress sits in.